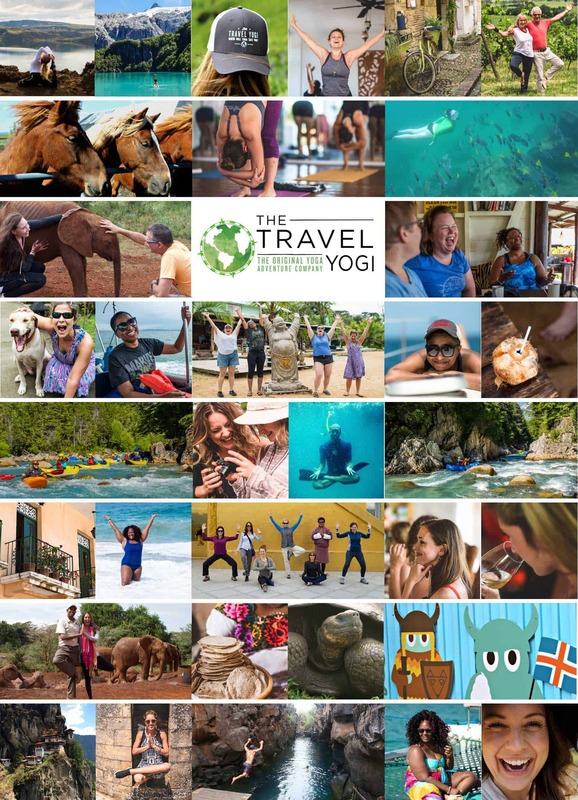 As the first company to blend yoga and wellness with first class adventure travel, The Travel Yogi set the bar for what real wellness adventures should be. Our handpicked teachers seamlessly integrate yoga into our days of hiking, kayaking, exploring, biking, snorkeling, horseback riding and getting under the skin of the local culture and nature. We’re about days that begin and end with grounding and are packed with the kind of experiences that fill dinner table conversations and memory banks. Each day is a fresh adventure with yoga as our tool to ground, grow, expand and open. Joining a yoga retreat and adventure comes with an expectation of physical wellness, but we promise you a little mental goodness to boot. Nothing on a computer screen rivals the human connection on our adventures, both within the group and with the locals we have the good fortune to work with and meet. Travel creates bonds that social media simply can’t touch: laughter, memories and friendships old and new. Being the Original Yoga Adventure Company doesn’t mean that we are the only ones doing this anymore, it simply means we’re the pioneers. That’s a label we take seriously and passionately as we carry that pioneering legacy forward into everything that we do. We’re proud to be a female owned and operated company, though we love the guys we work with on the mat and out in the field. We’re moms, yogis, adventurers and women who have never let the words ‘can’t’ or ‘shouldn’t’ stand in our way. It’s not always easy, but it is always fun and the 98.3% of our travelers that say they’ll join us again keep our smiles on and our adventures grooving.